Earth, Wind & Fire defined soul and R&B in the late 70s. The ultra-tight grooves, lush production, and falsetto vocals combined to make "the elements" not only a commercial smash, but also a group with real virtuosity and jaw-dropping songwriting skills. In direct contrast to today's soul music, Spirit's tracks are distinct yet cohesive; classic in an album oriented sense, yet still sounding fresh enough to be contemporary. In short, these guys put current R&B/soul wannabes to shame. I'm always amazed at the brazen thievery performed by so-called R&B artists these days. It's almost cynical the way Sean Combs steals classic hooks at will. More disturbing is the way music consumers eat this crap up, validating Combs and his ilk as superstars and verifying the death of originality in a genre that needs it to stay viable. Listening to Spirit will remind you that the real thing is still out there, and it has nothing to do with VH1 fashion awards or MTV's stranglehold on cultural phenomenons. Earth, Wind & Fire did not rely on tough posturing or simple style to promote their sound, indeed the music speaks for itself even 23 years later. Their uplifting message is fresh in this age of scandal and degradation, as EW&F's sweet harmonies and commercial (yet complex) arrangements sound vital in comparison to the cookie cutter hip hop beat that invariably backs virtually every R&B song to come out in the late 1990s. "Getaway" opens the album, and is a landmark funk tune anchored by Verdine White's impeccable bass figure. Horns blast and there's a feeling of ecstatic release in the pristine vocals that float high above the mix. The track is dense with percussion, yet there is a feeling of open space. Ah, the miracle of good production. "On Your Face" suggests we cannot live a lie...unhappiness inside is bound to show on your face. Within the song the message sounds neither corny nor self conscious (another striking difference between today's music, which is so utterly self conscious as to put the kibosh on guitar solos or any other avenue that might showcase a talent). The lush ballad "Imagination" flows with the beautiful harmonies of EW&F. 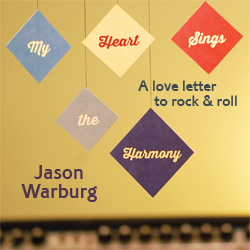 Strings add a critical sentimentality and are a large factor in this song's success. I'm not usually inclined to ballads, but it's hard to ignore the perfect production. It's one of those songs that listeners can find something new within each time they hear it. The title track is another ballad, expressing positivity and unity within the framework of love. "Spirit" features Philip Bailey's incredible falsetto. "Saturday Nite" joyously celebrates hanging with friends, and the drama associated with human interaction. Laughter peppers the track as if to solidify the feeling that these guys had a lot of fun making the album. It's actually pretty common funk fare, but the vocals and tight sound puts "Saturday Nite" in the upper echelon of party tunes. I'm sure there were plenty of 12" dance singles featuring this song. "Earth, Wind and Fire" has a cool symphonic sound that propels another message. The flanged vocals ask, "Are you satisfied / in your life and time / does it fill your mind / all the hurt you find". It's a friendly groove, another strong song about unity. The horns on the second verse typify EW&F's plentiful creativity; they perfectly complement the vocals and add another layer to the song that only makes it more interesting. "Earth, Wind and Fire" is certainly epic enough to honor its namesake. Synthesized bleeps open the next track, but this slight departure is no problem, since the song is called "Departure" and the track breaks into a stylish funk groove that features heavy interplay between sax, guitar, keys, and synth. Essentially they're giving the talented players an opportunity to show off their chops in a funktified setting. It's amazing how the group manages to sound so real, especially considering how produced this album is. What I mean is, "Departure" could theoretically be one step away from smooth jazz, but the musicians manage to put that extra ounce of muscle in the track that gives it a distinct rawness. At the end there is a hearty "Whew!" by the band. Very cool. "Biyo" and "Burning Bush" run together as intro and song respectively. One can infer from the title that "Burning Bush" is spiritually based. It is a beautiful song, again showcasing the inspired singing and insightful arrangement of EW&F. It closes out an album that is unified in sound and lyric, and leaves the listener on a note of positive affirmation (last cliché, I swear). I hope I didn't gush too much, but Spirit is that impressive upon the first and subsequent listens. The lushness of the album is almost too sweet at times, and I've found myself listening to this album in short spurts rather than one long chunk of time. I hesitate to brand it as a mood piece, because it is not that specifically challenging, however I do tend to put it on only in certain situations. I also neglected to put the album in perspective with the other EW&F releases of this era, as it's always interesting to take an album out of context at listen to it solely on its own merit. Highly recommended. © 1999 Eric Atwell and The Daily Vault. All rights reserved. Review or any portion may not be reproduced without written permission. Cover art is the intellectual property of Columbia Records, and is used for informational purposes only.